US small ship expedition company Lindblad Expeditions has just announced that Australia's Orion Expedition Cruises would become part of its portfolio, with the move effeftive for itineraries from March 2014. Orion founder Sarina Bratton will leave the business when her current contract is completed on 19 April, and she said the move is "both amicable and timely". Sven Lindblad, president and founder of Lindblad Expeditions, said "Sarina has created something quite wonderful in her nine years at the helm of Orion Expedition Cruises. We respect both her and her team immensely for what they have accomplished. "It is our job now to ensure that the Orion travellers continue to receive remarkable travel experiences, both on Orion and our other ships," he said. 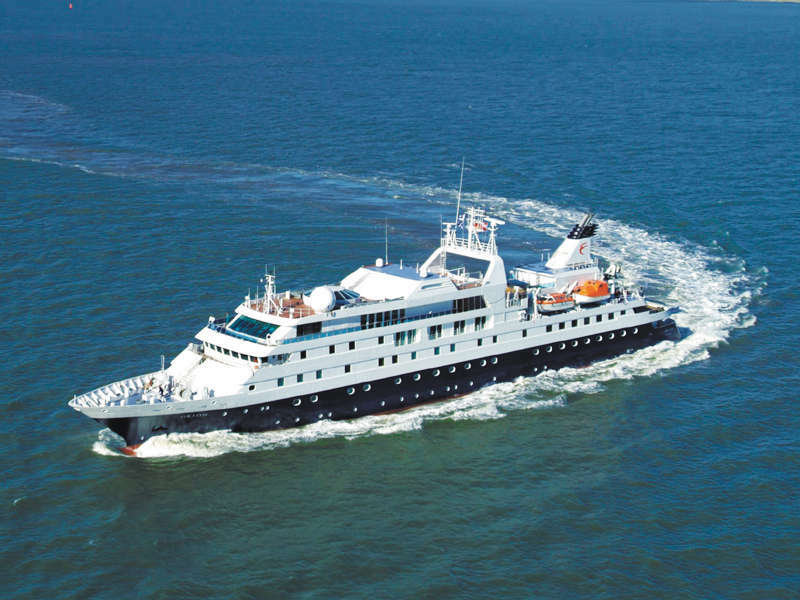 Lindblad partners with the National Geographic Society for expedition cruising, and owns five ships: the National Geographic Explorer, the National Geographic Endeavour, the National Geographic Sea Bird, the National Geographic Sea Lion and the National Geographic Islander. The company also charters five ships for seasonal expeditions: the Delfin II, the Lord of the Glens, the Oceanic Discoverer, the Jahan and the Sea Cloud. "We are extremely excited about the opportunity to offer global expedition cruising to Australians and we intend to bring the full weight of our experience and that of National Geographic to the Orion organisation and the ship," Sven Lindblad said.